[Concluded] [Giveaway/Contest] NordVPN 10 x 1-year + 5 x 2-years subscription. Discussion in 'Giveaways and Contests' started by whizkidraj, Jan 7, 2018. Nowadays, security has not only become a word that is used as a "right" for every person, but as a need for the computer devices, too. And it doesn't just stop there, the definition of security expands as its needs in every field whether it is related to computers, or, just us humans. Now, talking about computers, we humans use the internet to connect us all. Connection has not only become a word that was related to something tangible, but also and now, something that is virtual, too. Internet connects us all. Helps us know each other virtually. Internet has been of so much help to us every human, but it has also risked our privacy, something which we consider as our fundamental right in this modern age. Privacy is risked because of connecting to unknown people or making untrusted connections. But hey, what do we know? It is the internet, so everything here on the internet is not what it looks to the naked eye. Even if you might think of yourself as the most creepiest dude on this planet, being on internet changes that all. Coming back to security, nothing is promised. But as they say, prevention is better than cure (Old sayings are gold ). So, while we do know some basic methods to secure our computer and our data in it, we still do not have much idea about the data in the cloud and on the internet that we download and share regularly. Just connecting to the internet means, you are not secure, coz while there is security, there are things to break down the security, too. So just an antivirus or a firewall won't alone protect your identity or your data on the internet. You need something that hides you from the entire world on the internet. Something that encrypts your data, and doesn't let others know about your internet activity. That is where a VPN software comes into place and use. Now, without much and further ado, let's talk about NordVPN. NordVPN is indeed the best VPN out there, not only because of its features, but also because of the Pricing Offers it provides on regular basis. Just like this generous and the best giveaway NordVPN has ever offered, I am also happy to let you know about this Best VPN Deal by NordVPN. 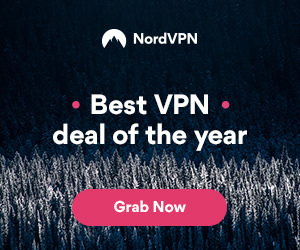 More about it here:- NordVPN Best VPN deal of the year. NordVPN Social Links:- Facebook, Twitter, Instagram, YouTube. I would like to thank my dear friend Mr. Vito Clover and NordVPN for sponsoring this huge and generous giveaway for our awesome forum members. Again, 10 x 1-year + 5 x 2-years subscription of NordVPN for the giveaway. Lastly, post anything about NordVPN (usage scenario, your experience) to show your appreciation and love for it. Giveaway ends on March 5th, 2018. Thank you @whizkidraj and NordVPN for the opportunity! 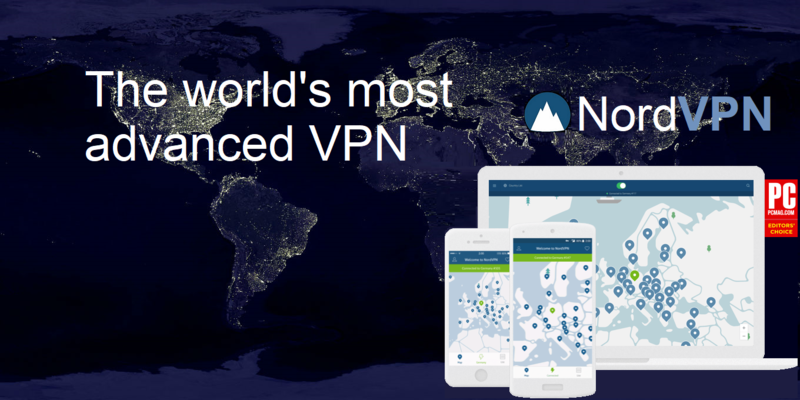 NordVPN is one of the most well known and reputable VPN out there. It is known to be very fast, it has powerful encryption, no log policy and supports torrents. Also it is one of the few VPNs that works with American Netflix. I'd love to win a license for this great software! NordVPN is most advanced and secure VPN I ever used Best protocols available for their customers exp IKEV2/IPSEC. Many other features like Anti-DDos, P2P, Onion network, Dedicated IP etc. NordVPN support many platforms my favorite is Linux and securing ourself from tracking and censorship is very important tracking start from whenever a dedicated machine go online and again come online tracking never stops. Being anonymous on the Internet is impossible without VPN and preventing logging is also impossible but with NordVPN we can be anonymous with no logs policy Nord have. According to many users it's one of the top 5 VPNs out there and a well established one likewise. If i get the chance i will happily test if they are right. Thanks to all making such nice giveaways possible. Judging by the comments this is a must have. I'd like to be in the competition in this case. VPN is becoming essential. I have not used this one yet but web site looks good. Want to give it try. I need a VPN software. Count me in. Wow, a nice giveaway. Gone through the site of NordVPN and came to know about it's nice features. Their website ia so good, the first thing attracted me is, they're displaying our IP address and we're using any VPNs or not. Thanks @whizkidraj for this wonderful giveaway. Indeed, this is a great giveaway for what seems to be one of the greatest VPN services out there. Never had the chance of trying NordVPN so i would gladly take this as i sometimes need/want to use services which require a different connection from the one i have at home. Thanks @whizkidraj for this giveaway. NordVPN will make navigation on the Internet confidential. At every stage, all traffic is protected by military-grade encryption, which even a supercomputer can not handle. With NordVPN, online activity will be truly confidential, just as it should be. You will also have Double VPN, Tor Over VPN. Nord Vpn is one of the best Vpn software with many features i like- Double data encryption,Automatic Kill switch, Dns leak protection etc. Thanks @whizkidraj for this giveaway. One of the top VPNs. I would like to try this VPN. as always now, a big thanks to you raj for the giveaway first! The reason why I am participating in this courtesy is to try out the program and see if it has what I need! 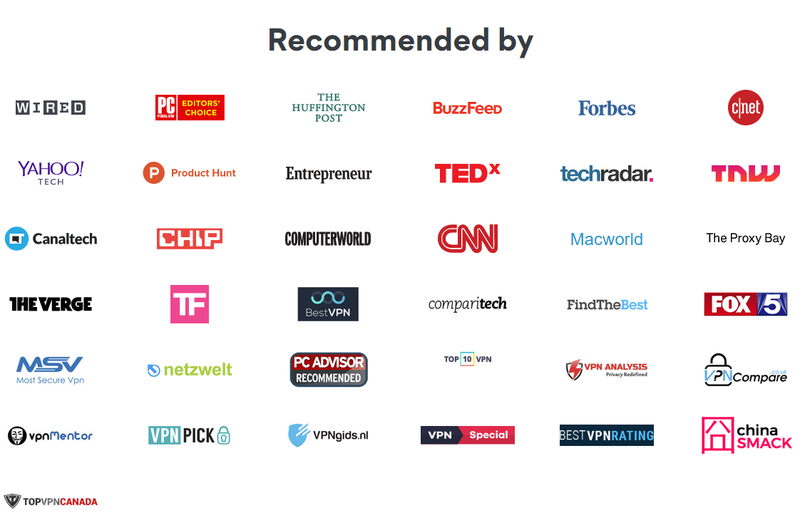 The website looks good and those reviews from The Verge, TNW etc... make me believe, that this should be a good VPN Software! So i would be glad if I could win a license for it! I had the chance to test a vpn in the past, was a incredible experience how isp in my country deal with monitoring users and throttling his clients. After that vpn, problems almost was gone exactly same day of install of that one in specific. Will be appreciated give me the opportunity of test nordvpn have read very good reviews all around. Very king to give a shot of 1 year OMG not just one month. I want Nord VPN cause many years i have other VPN services and i want to try the Nord VPN. Thanks Mr. Vito Clover and Forum. I need a VPN software. Nord VPN is well known and among the top 5 VPN software. Well heard and read great reviews of them, so please count me in. Thanks a lot for this GA. I've never used VPN, but I really would like to. Thanks for giving an opportunity to win an awesome subscription NordVPN! Thanks @whizkidraj and @NordVPN for the giveaway/info! I've recently been searching for a VPN which has reasonably comparable speeds in my area to straight ISP traffic, and out of all of the more popular ones(PIA, TunnelBear, etc) I've been unsuccessful - until I found NordVPN. I used their 3-day trial, and with a lengthy testing process managed to find one of their servers which offered very near ISP speed. Regardless of this giveaway, I'll definitely be choosing NordVPN very soon, but would LOVE if I won this giveaway. I recommend everyone support NordVPN in some way, shape or form, as the service they offer is fantastic. Even if you only decide to try it for a month or two!